Last week I made a trip to the east cost to spend sometime in the Florida sunshine with my blogging buddies, Rachel and Carrie. We spent a couple days in Miami (which is where I grew up) and then drove south on the turnpike to spend the rest of our time in Key West. I’ve always loved visiting the Keys but hadn’t been down there since my 18th birthday (which coincidentally is when I bought the Birkenstocks that I’m wearing right now). We stayed at The Gates hotel, which is a fun beach inspired hotel on the northeast side of Key West. Upon checkin, we were greeted by a wonderful staff and delicious tropical cocktails. Definitely my kind of Florida welcome! The yummy cocktail we enjoyed was called The Mary Pickford which is a tropical cocktail named after the famous silent movie star of the 1920s. It was created at the Hotel Nacional de Cuba during prohibition and is made of fresh pineapple juice, Bacardi rum and a dash of grenadine. 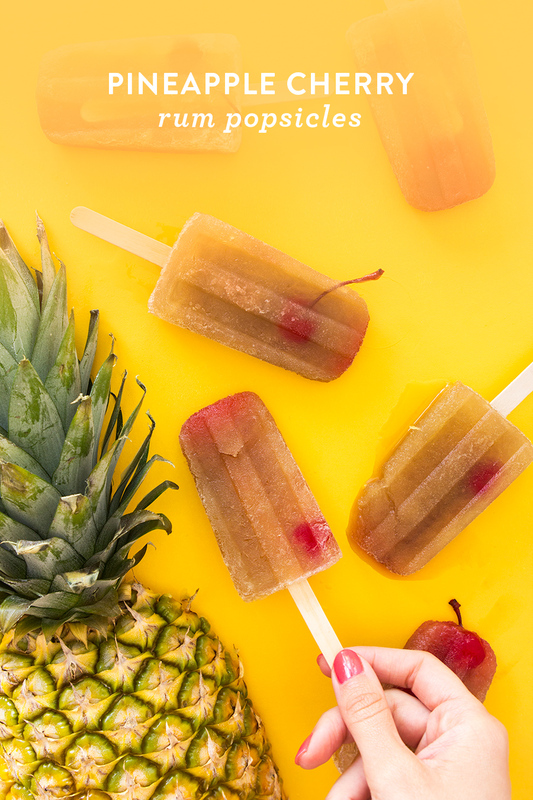 I enjoyed it so much that I thought it would be fun to turn it into a popsicle! This boozy version is easy to make and would make a great addition at any summer party. It could even be served upside down in a glass! Watch the video below to see how it’s made. Pour the pineapple juice, grenadine, and rum into a pitcher. Stir until combined. 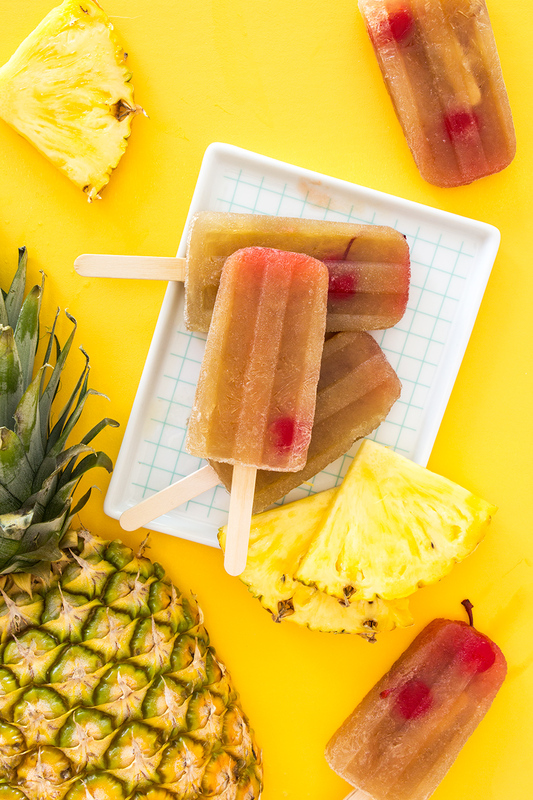 Pour the mixture into a popsicle mold. Place a few cherries in each mold. Freeze for 1 hour then place lid on mold and inset wooden sticks. Return to freezer and freeze overnight. Just before serving, run the base of the mold under cold water to loosen the pops. Then enjoy immediately. These look super yummy! 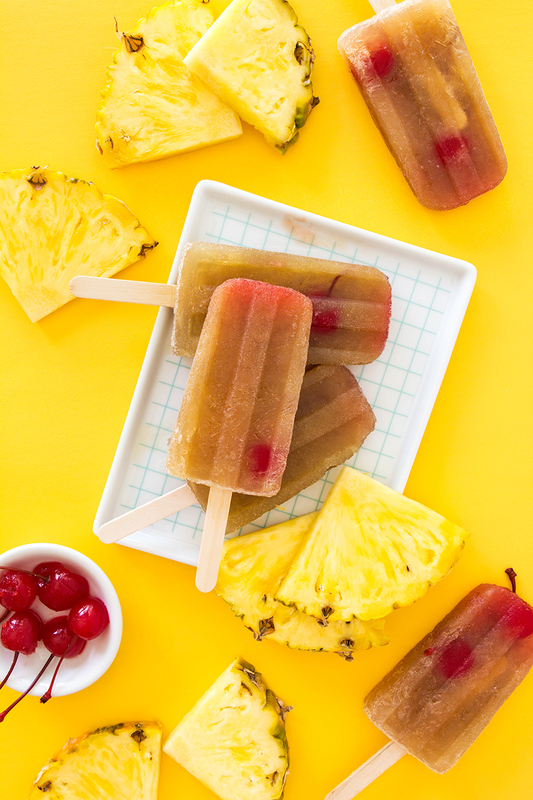 It’s been super hot in SoCal, so I’ll have to make these soon! So fun, Sarah!! I LOVE how these turned out and can’t wait to try them myself so that I can relive our fun adventure in the Keys =) So glad we could take the trip together! Cheers!! 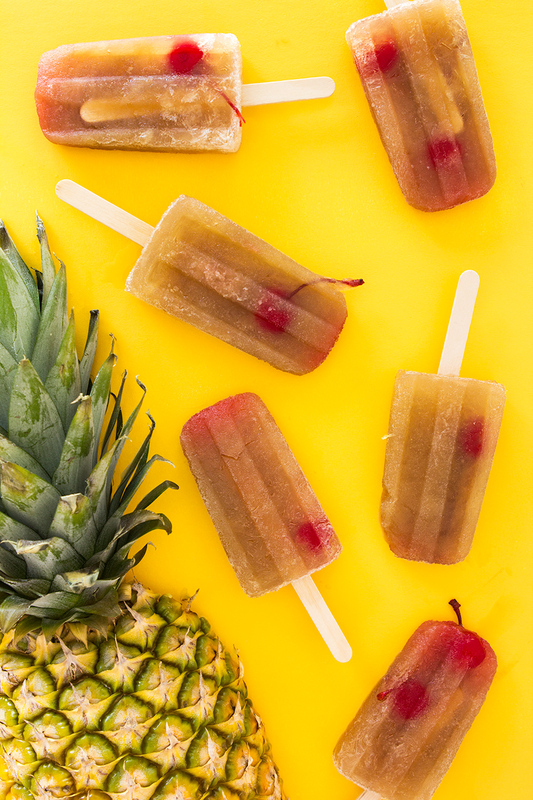 I’m always looking for some fun popsicle recipes and this sounds perfect to make this summer. As I know it’ll be a hot one in LA!